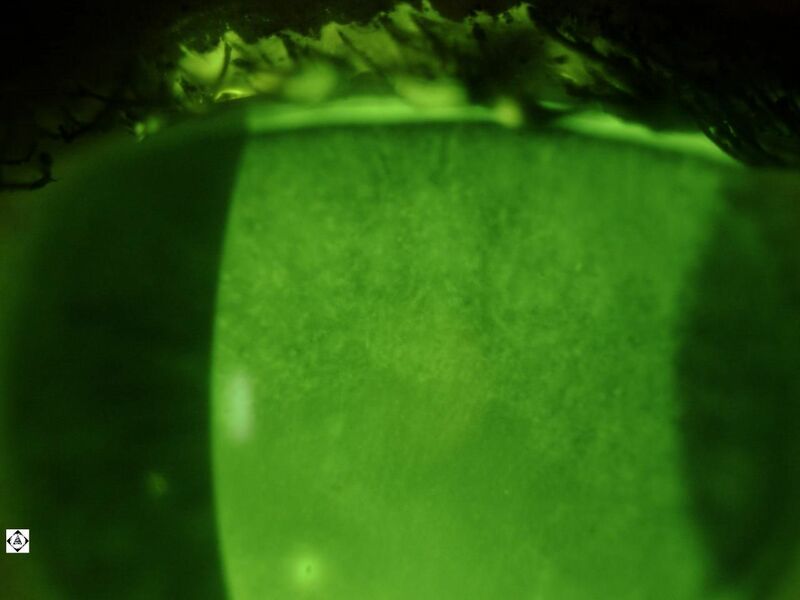 The photo below shows corneal neovascularization. This occurs because the cornea is starved for oxygen from contact lens overwear. 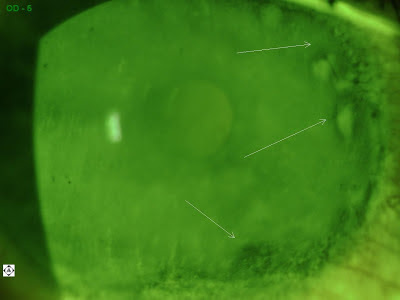 The patient’s vision is compromised because the surface cells are damaged as shown below. 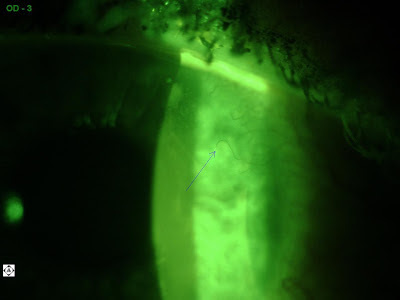 The other eye has good vision in the other eye, but there are significant signs of damage in the peripheral cornea.